When planning your wedding in the Roanoke Valley in Virginia&apos;s Blue Ridge, it&apos;s important to know everything that goes into the process, including the requirements and licenses needed in Virginia. To help you prepare, take a look at our detailed 12-month wedding planning calendar to guide you through every step. The following information is from the Virginia Department of Health. Licenses are issued by the clerk of a circuit court in any county or city in Virginia. Marriage ceremonies may be performed anywhere in the state, but the license is valid only for marriages performed in Virginia. For divorced persons, there is no statutory waiting period before marriage after the divorce is granted unless remarriage is specifically prohibited by a court. Clerks may require documentary proof of age or termination of a previous marriage. Please have a driver&apos;s license or some form of Photo ID when applying for a license. Time Limitations: Marriage must be performed within 60 days after the license is issued. There is no required waiting period between issuance of the license and when a couple may be married. Fees - Any person authorized to celebrate the rites of marriage shall be permitted to charge a fee not to exceed $50. Ceremonies may be performed by a minister of any religious denomination who is authorized by a circuit court to celebrate the rites of matrimony. To obtain authorization, the minister must produce proof of his/her ordination and regular communion with the religious society of which he/she is a reputed member. The court in each city and county also has appointed persons who are eligible to perform civil marriage ceremonies. There is no requirement that witnesses be present at the ceremony. Record - The wedding officiant must complete and sign the Marriage Register and Marriage Return forms and forward both to the clerk of the court who issued the license within five (5) days after the ceremony is performed. The Marriage Return is forwarded by the clerk of the court to the State Division of Vital Records. If the forms are not returned to the clerk who issued the license, there will be no record of the marriage in the courts or with the state. Certified copies may be obtained from the office of the clerk who issues the marriage license (please contact the court for cost) or from the Virginia Division of Vital Records in Richmond for a fee of $12 per copy. When applying for a copy from the Division of Vital Records, please supply the full name of the groom, full maiden name of the bride, date and place of marriage, and the name of the circuit court that issued the marriage license. There is no blood test requirement in the state of Virginia. 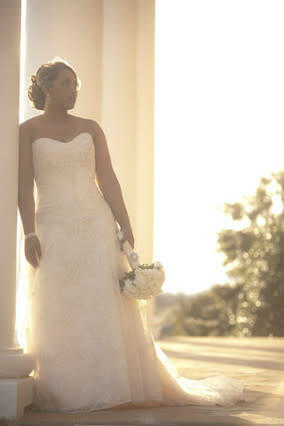 Follow Virginia&apos;s Blue Ridge&apos;s board Weddings in Virginia&apos;s Blue Ridge Mountains on Pinterest.